Noor Benjamin’s energetic and enthusiastic approach to Property Management makes her an ideal fit with the contemporary approach of the Laing + Simmons team. Her clients benefit from her extensive knowledge of the local market, which is complemented by her passionate approach to her work and professional attitude. 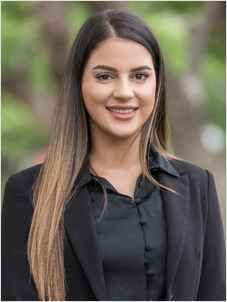 As an experienced Property Professional, Noor displays the enthusiasm and commitment required to ensure that Landlords and Tenants are provided with the best service in all aspects of Property Management. Always treating each home, its owners and its occupiers with the utmost respect is paramount to Noor in ensuring a seamless experience. Noor keeps herself up to date with Legislation Laws so that she is able to operate in an ethical and appropriate manner. Outside of work Noor enjoys socialising with family and friends.